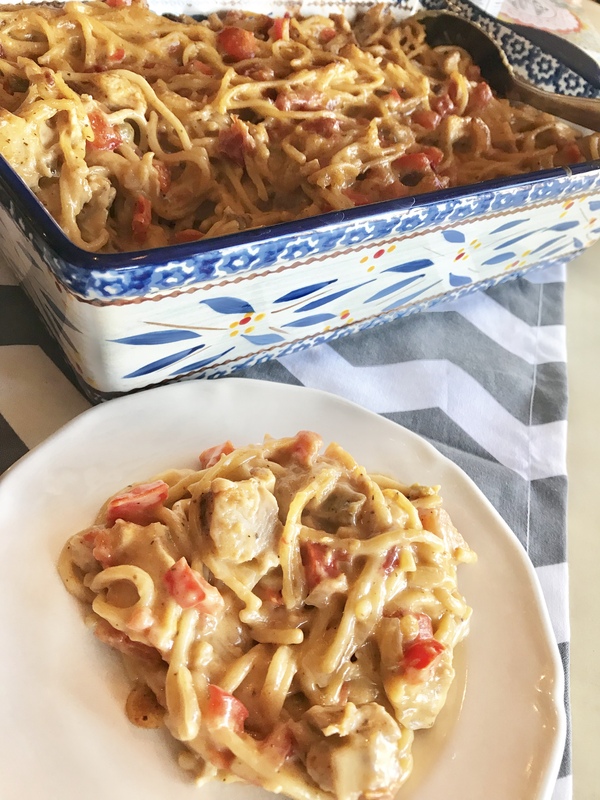 Having a go-to casserole dish is a MUST have as an adult! I mean think about all of the events that you go to where you need a DELICIOUS dish to share? OR, a dish that just provides all of the comfort of food! 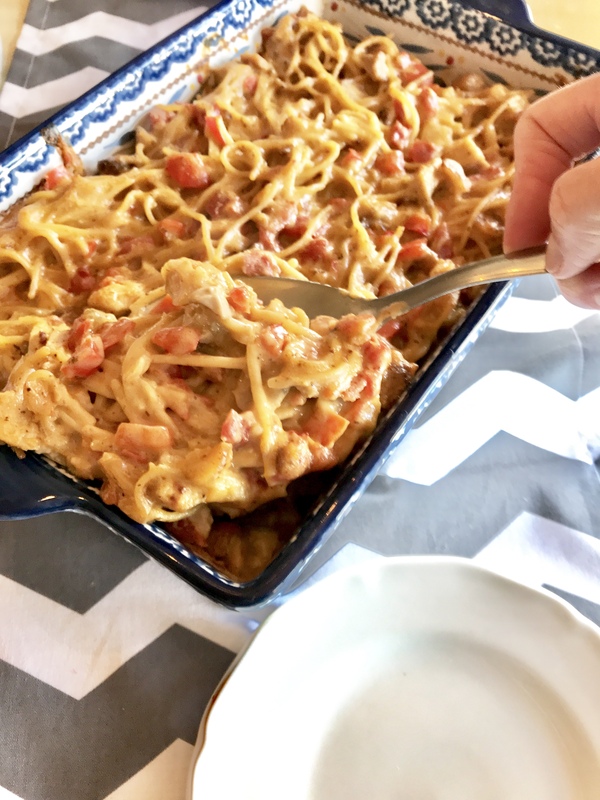 This Rotel Chicken Casserole is the perfect dish for just those things! And even better; it takes basic simple ingredients! Here’s how you can make your own TONIGHT! 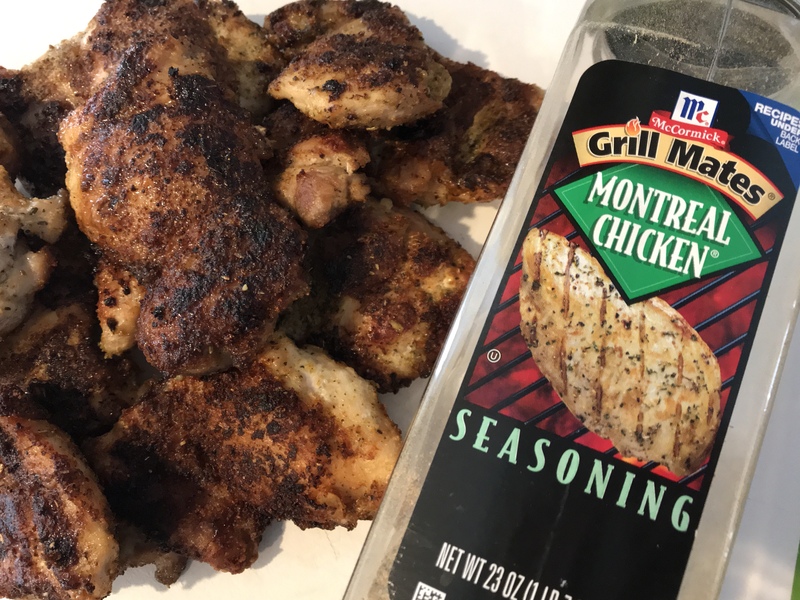 I LOVE grilled chicken with this Montreal Chicken seasoning from McCormick! It is a staple in our house that we use all the time. For this recipe I like to use chicken things. While your chicken is grilling, you can start the other ingredients! Make a pot of spaghetti according to package directions. Saute one medium onion, red pepper, one can of Rotel and 2 tablespoons of Worcestershire sauce. I usually saute in one stick of butter, but you can cut the butter in half and use some olive oil. Simmer gently for two minutes. 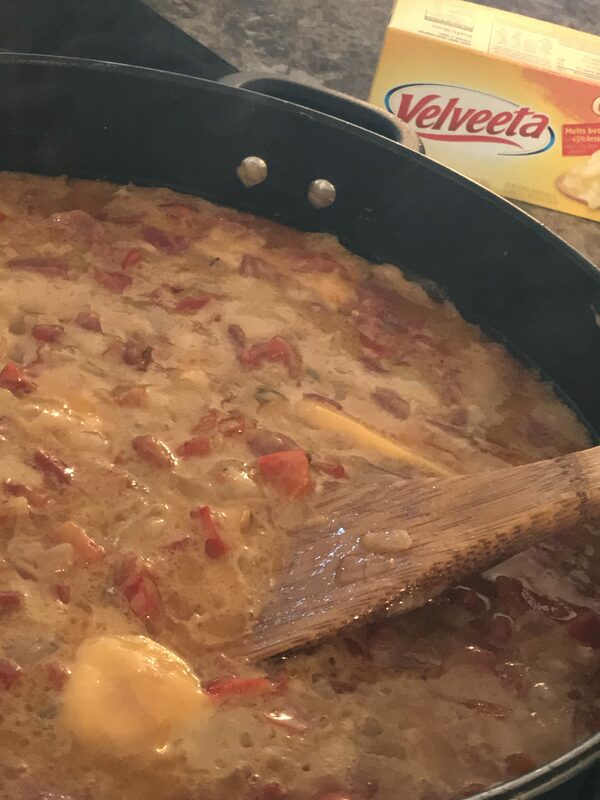 Add 1 block of Velveeta cheese and the diced chicken. Mix everything together with the cooked spaghetti. Place in a greased 9×13 casserole dish and heat in a 350 degree oven until bubbly and heated thoroughly. Usually about 20 minutes. 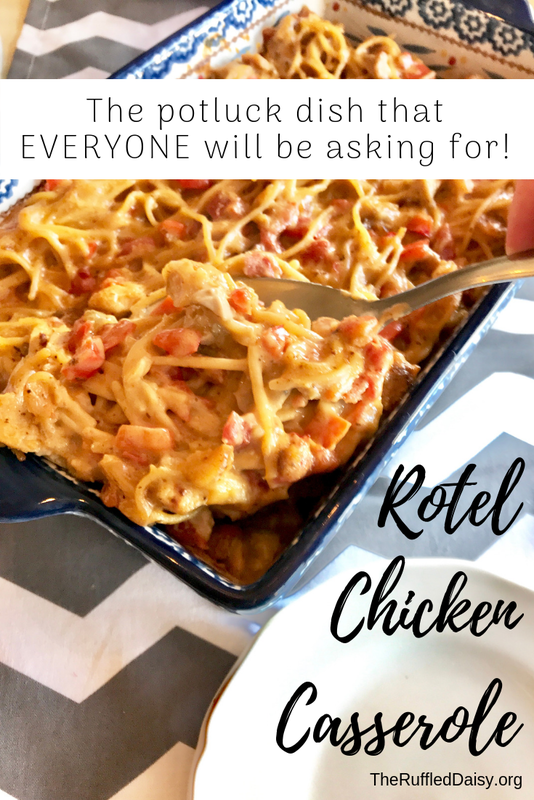 This rotel chicken casserole is perfect as a dinner to someone that is home-bound or as a potluck! Whenever I make it, it never lasts! It is the first to go and always the first thing people ask for! Try it out for yourself!! I’d love to know what you think! 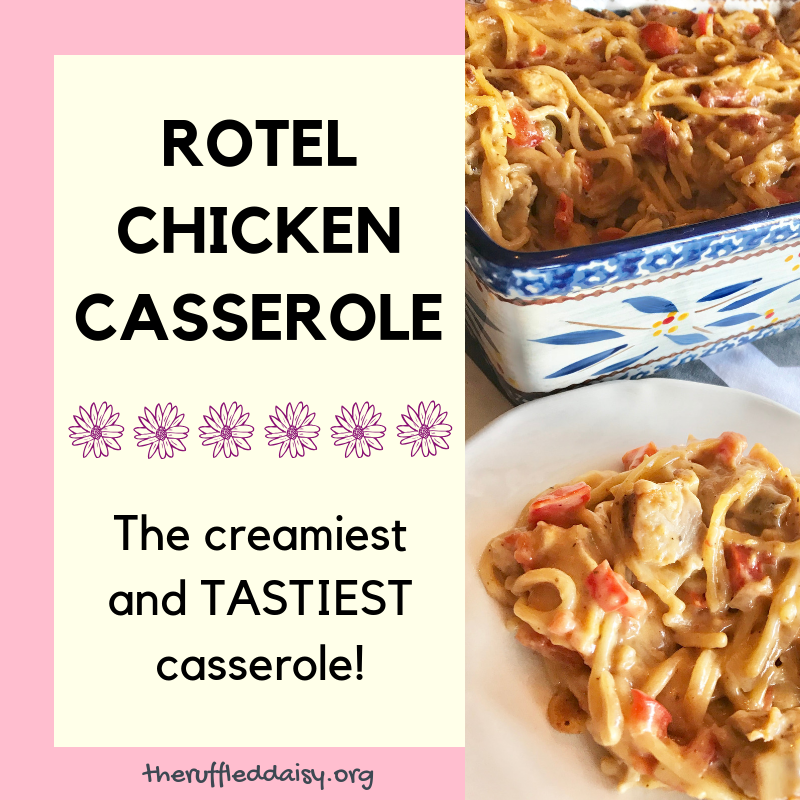 Did you like this Rotel Chicken Casserole recipe? I’d love for you to share it with your friends on social media and PIN it so you have it for later! If you like what you see on this page, I’d love for you to join my mailing list HERE! When you join, I’ll send you a my FREE Home Decor Holiday Printables that you can immediately download. Just my way of saying “thank you” and encouraging you to live your best life!! Season and cook chicken as desired. Cool and dice. Saute chopped onion and red pepper in butter. 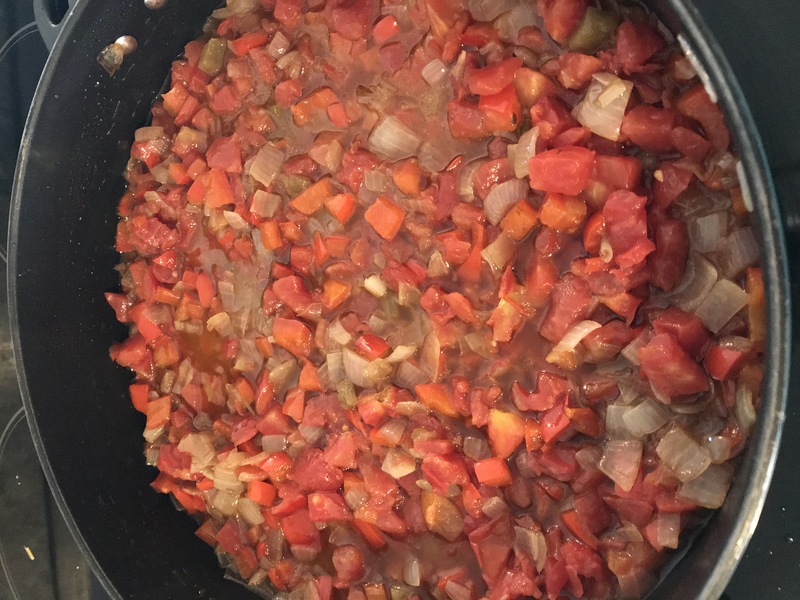 Add Rotel tomatoes and worchestershire sauce. Simmer gently for 2-3 minutes. Add the cheese and stir until melted. Add the diced chicken. Mix all ingredients together with the cooked spaghetti. Place in a greased 9x13 casserole dish and bake at 350 degrees for 20 minutes or until heated thoroughly and bubbly. I think you could use spaghetti squash and it would be low carb. Gonna try it.